You might want to look into the BodyMedia CORE armband as an alternative to the Fitbit. It is similar to the FitBit but the calorie measurement is based on actual contact with skin. I’ve performed various experiments on myself using HIIT intervals, jump roping sessions, etc. to determine max cal/min and it has given me a perspective on my metabolism which is useful for managing bulk vs. tone cycles. As an example, people say jump roping is one if not the highest cal/min exercise but since my body is so acclimated to the exercise (I can jump up to 2 hours at once), I am only pulling in 9 cal/min vs. 16 cal/min on outright foot sprints for an HIIT interval. It’s more expensive than the FitBit and more intrusive but I’ve gotten used to it and the perspective it gives me insures I can create calorie deficits on a daily basis if I want to. It does everything else the FitBit does too (step counter, sleep, etc.) due to a 3-axis accelerometer. Luis -> great gadget (best GPS watch I’ve owned — and I’m on my third), but not in the top ten fitness gadgets yet. Ordering the bands tomorrow! Love the fitness blogs. 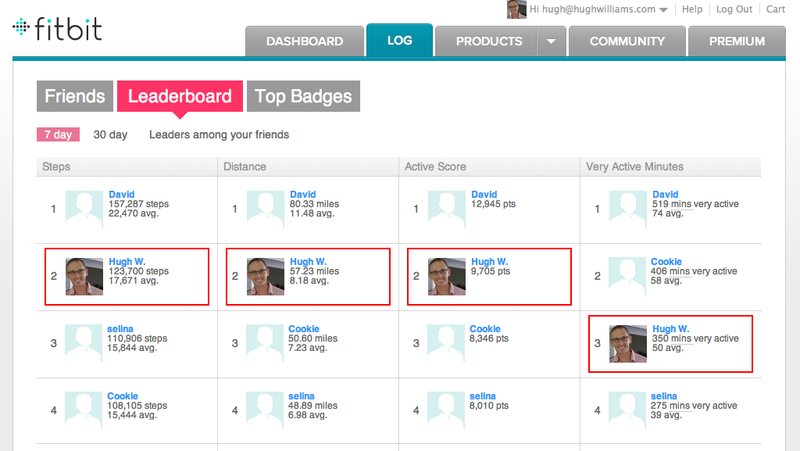 Overall it is pretty exciting/encouraging for geeks to get into exercise with so many gadgets! Certainly gave me something to help get me moving again.